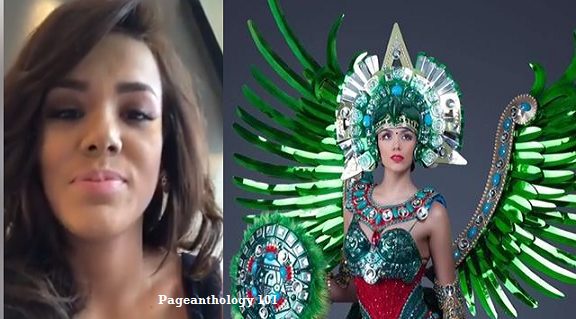 Miss Universe Guatemala 2016 was not able to go on stage during 65th Miss Universe national costume presentation because some vital parts of her costume have lost. Her fans left devastated upon hearing the bad news. Miss Universe 2016 National Costume Presentation was held on January 26th after the Swimsuit and Evening Gown Preliminary show in MOA Arena. According to her, the corresponding staff who supposed to take care of costumes, did not know what happened to the missing pieces of her national costume. However, the Guatemalan beauty emphasized that it was a mistake that could happen to anyone and the people involved were very sorry for it. Virginia told during facebook live that she will try to talk with the pageant organizers to see if there's any way to record her part for the national costume presentation. "At that time I felt sad, but I think God gave me the strength", she said.